The North Bay Organizing Project (NBOP) is a grassroots, multi-racial, and multi-issue organization comprised of over twenty-two faith, environmental, labor, student and community-based organizations in Sonoma County. 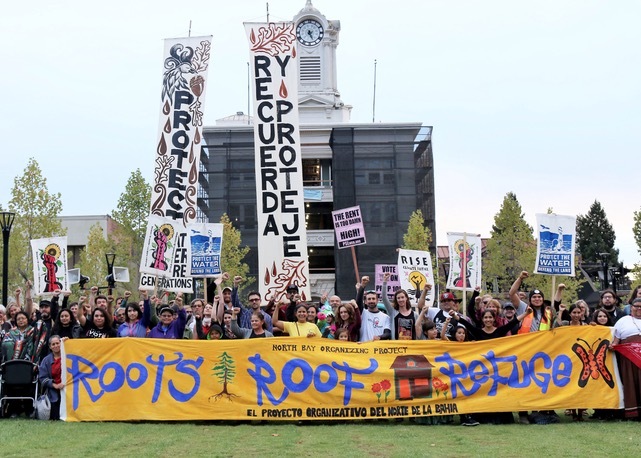 NBOP seeks to build a regional power organization rooted in working class and minority communities in the North Bay: Uniting people to build leadership and grassroots power for social, economic, racial and environmental justice. We have had great success in developing leaders and winning policies to minimize deportations, reduce suspensions/expulsions from our local schools, provide free public transportation for students, gain greater rights for tenants and defend our communities. We believe that participation of our members is essential for the survival of democracy. The third episode of The Response travels to Northern California to provide a unique perspective on the topics of climate change and immigration. Thursday, a group of activists met with Sonoma County’s disaster planning team.